Dora has a big job, she has to rescue a real prince! Help her on a fantastic journey through all parts of the snowy forest to rescue the price. The prince is in the dark caves and he waiting for you to save him! 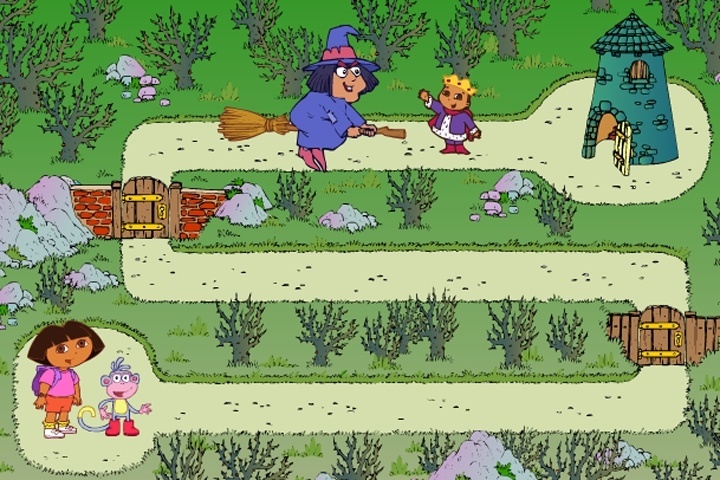 Use the mouse to play this funny cartoon adventure game. If you want to play Dora Saves The Prince games online you have come to the right place! GamesLoon adds new Dora Saves The Prince games every week. This is your game portal where you can find the biggest collection of free Dora Saves The Prince games online. Do not forget to rate our Dora Saves The Prince free online games while playing!